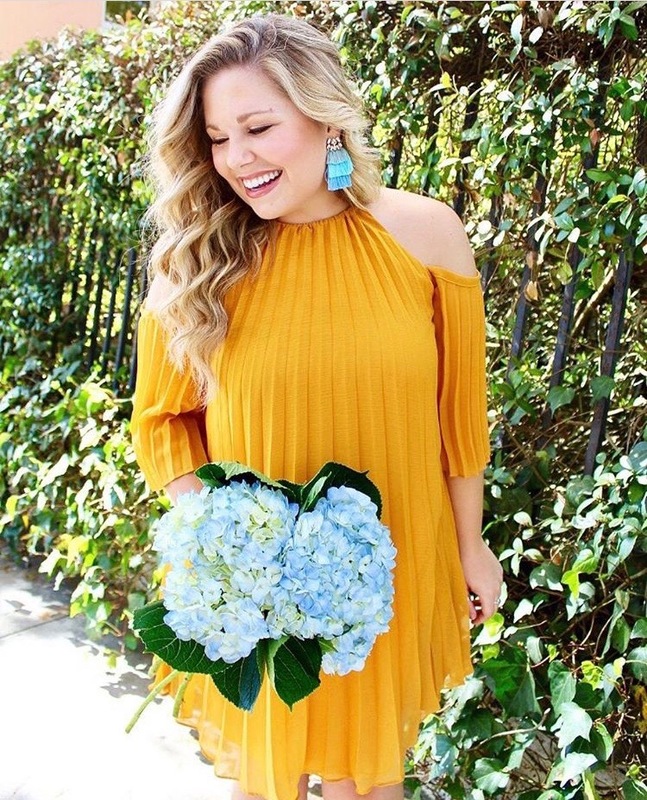 Cold Shoulder Sweatshirt Dress for $55 – Hayley Over Heels. If you are looking for a comfy dress that’s also cute as a button, this is the dress for you. I’ve never owned any sort of sweatshirt material dress before, but I finally decided to try one after I saw that this one had the cute ruffled cold shoulders and was only $55. Once it gets a little chillier, I plan on wearing it with my tall suede tan boots, or even with some brown tights and my tan ankle boots! Did y’all have a good weekend? I had a great weekend with my boyfriend as we ate our little hearts out, and he so kindly took these blog photos for me, as well as blog photos for three other outfits (he’s such a trooper)! As I type this, I’m procrastinating on studying for a Spanish test and watching The Santa Claus… #NEVERtooearly. Let’s just hope you all are being more productive than I am right now. Have a great week, friends! And Merry Christmas! …Oh shoot, sorry. The movie is rubbing off on me already.